If you’re planning on feeding squirrels, then there are some things that you NEED to know before you get started. There is no way to deny the fact that nature watching is beneficial for both the mind and body. Since you’ll have plenty of time to watch nature while squirrel feeding, this can be a very enjoyable activity. In fact, if you’re like us, then you will end up spending a little bit of time every day watching these fascinating little creatures. Why Should You Feed Squirrels? Unfortunately, there are some people who are totally against feeding them, and to be honest, we really don’t understand how these individuals think. 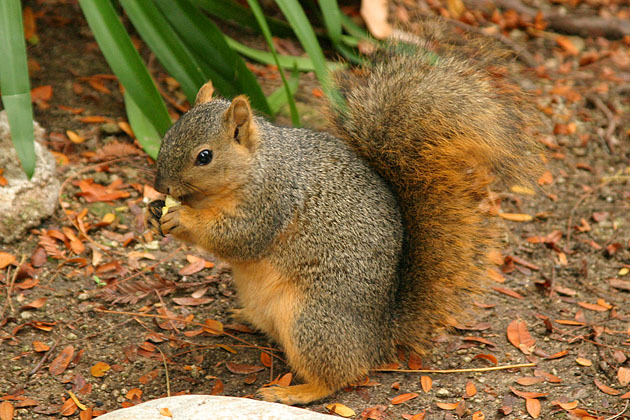 Let’s look at some of the top reasons to fill the tummies of your neighborhood squirrels. 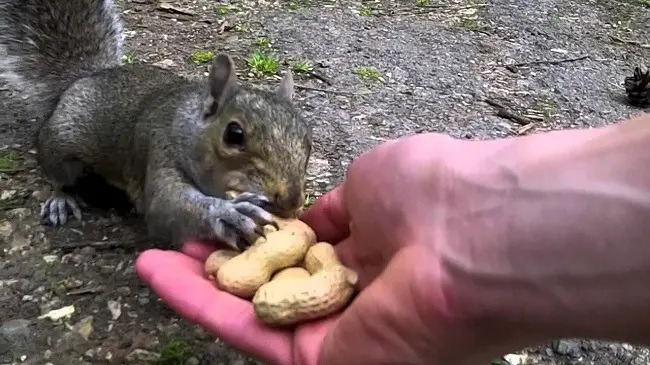 Almost everyone who tries to feed wild birds ends up having a problem with squirrels pillaging their bird feeders. Since they love to eat most of the food that is in a typical bird feeder, can you really blame the little guys? These creatures actually have a knack for destroying your average bird feeder, and they have no trouble laying ruin to feeders made of plastic or wood. They’re also known to steal wild birdseed that is extremely expensive, but it’s not because they’re planning on selling the seed off to a local vendor for a decent profit. Did you know that most gray squirrels can jump as high as four feet into the air? These magnificent creatures can also leap horizontally across distances in excess of 11 feet. Unfortunately, for some bird feeders, there is almost nowhere to hide them that will stop fury critters from getting to it. The top reason why people choose to feed them is because it attracts them to their property. Another reason is because it really does help them, and the additional food makes it easier for squirrels to survive a brutally cold winter. Some people feed them because they’re into photography and want to snap some photos of these beautiful creatures. However, you can probably come up with a few of your reasons to feed them! These little buggers are what we call opportunistic feeders, which means they go for the easiest and nearest source of food. If that source happens to be a large squirrel feeder on your property, then you can bet on them paying your some visits. Some people have products for feeding birds, but they want those feeders to aid birds and not other animals. For those individuals who want to repel squirrels, it’s best to place a food source that is far away from any bird feeders. If they have a feeding spot that is away from the products that feed birds, then they’ll have on reason to bother the birds. However, a surefire way to feed birds while repelling squirrels is to purchase a bird feeder made entirely of metal. So, you want to start feeding them? Well, you have a wide range of products to choose from, and some models are much more common than others. They usually want to eat a diet that contains many different types of food. Your neighborhood squirrels need to eat varying amounts of peanuts, corn, sunflower seeds, vegetables and fruits. However, it’s important to avoid feeding them too much of the same type of food. The majority of modern feeders are capable of holding corn or seed. 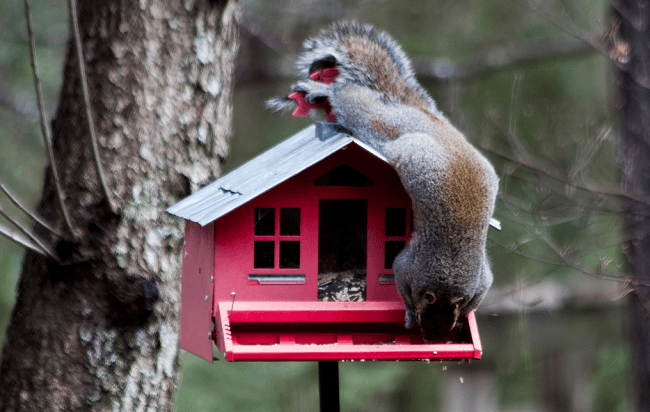 There are many models that are designed to make it difficult for them to actually get the food source, and the feeders are designed in this way to emulate the difficulty that a squirrel would face in the natural environment. There is nothing wrong with making your local squirrels work for the food that you’ve bought for them. If you want your feeders to last for a long time, then you might want to avoid products made from plastic or wood because these materials can be chewed through quite easily. To be honest, there are too many different products to list them all here. However, most of them have a basic design that has a covered food container. Some of the more expensive designs can be quite elaborate.